I recently had the pleasure to sit down with three pioneering individuals in the global telecom and infrastructure space.We discussed a variety of initiatives, primarily envisioned by my long-time friend and industry colleague, Hunter Newby. Hunter Newby is an industry visionary who was key in developing the colocation / data center interconnection world that network and service providers have come to rely on. While that’s the start of Hunter’s story, this conversation is a continuation of it. Along with industry colleagues and CEOs Michael Cunningham of Crosslake Fibre and Gil Santaliz of NJFX, we had the opportunity to explore a new wave of interconnection. 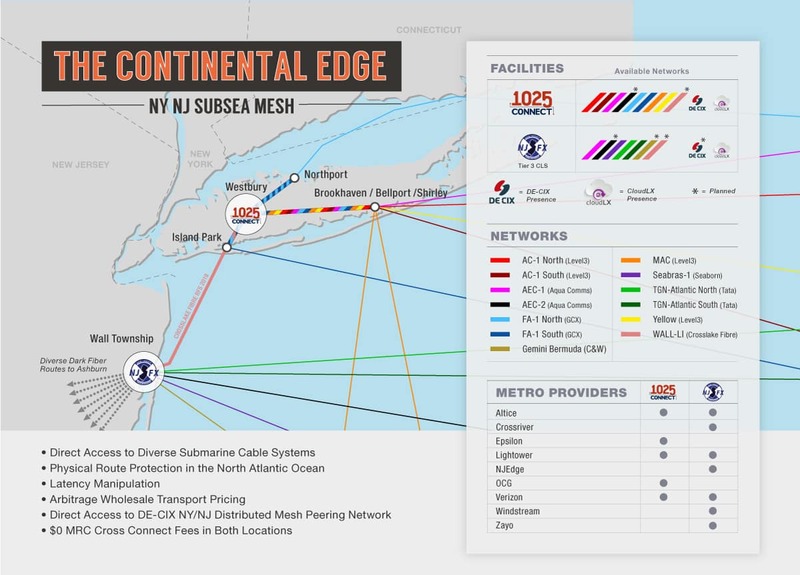 This new wave of interconnection moves the capabilities outside of the network core to the ‘continental edge,’ where data centers are the cable landing stations and cables are the new bypass points. In this discussion you will learn about the new routes and facility developments that are helping to shape the internet and today’s communications infrastructure to be more reliable, faster, efficient and ultimately more effective.